Primp and Proper: Tea for the Tub? So I definitely admit that I'm not normally a "lay in the bath" kind of gal. But the older I get, the more I find that I really enjoy a nice relaxing soak in the tub. I don't usually like to use bubble bath type products, as I have found those dry out my skin more. I have the most sensitive skin on the face of the earth... like ever! To me though, the boring ole water just isn't enough to sooth me. That's when I found Capital Teas', Tea for the Tub! Okay, so I never in a million years thought about soaking in tea. I love to drink it... but take a bath in it? Never crossed my mind. Till now. I've tried the normal bath salts, soaps and bubble bath products before. I just didn't like anything I tried. They were either too messy, left a terrible residue in my tub or left my skin itchy. Tea for the Tub is different. I really like how the emphasis is on the soothing scents and not necessarily the effect the bath left on your body. I just want to relax. I simply dropped the tea sachet in the bottom of my tub while it was filling up. It didn't take long for the wonderful aromas of the tea to come out. I also love how the tea sachet didn't leave a mess in my bath. All I had to do was throw the bag away once the bath was over. No mess or stress!! To top off my me time, I added some of my favorite music, candles and a good glass of wine (hey, every gal deserves a night like this). I felt extremely relaxed. 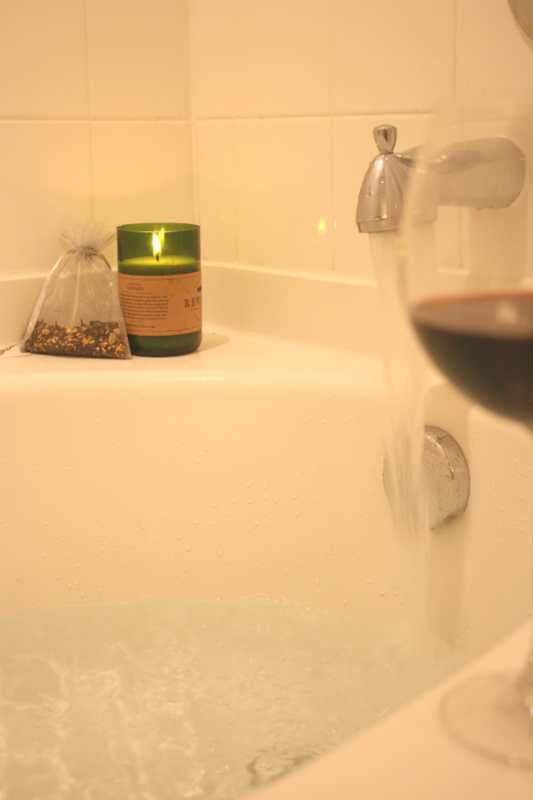 The perfect way to unwind before bed. 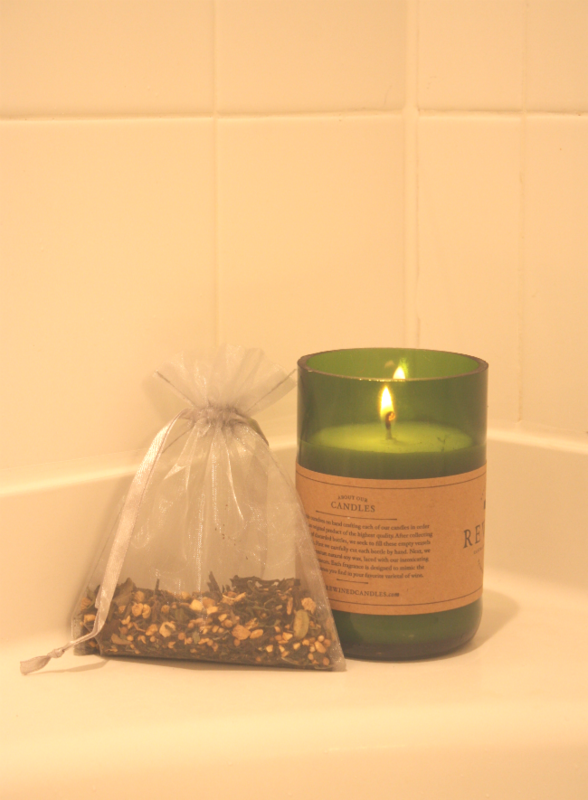 Tea for the Tub comes in two scents, purify and soothe. 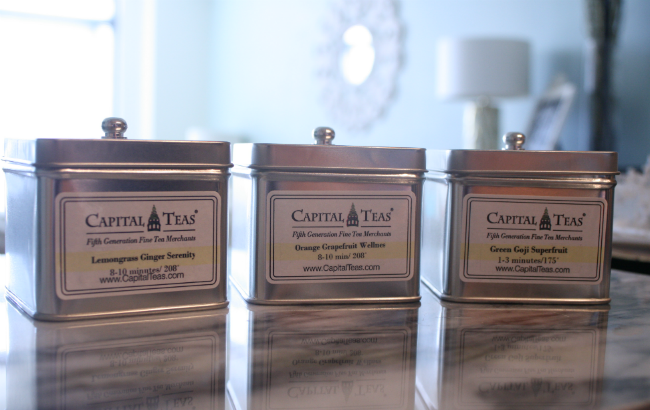 Purchase online or at one of Capital Teas' area stores. While you're at it, be sure to checkout the whole slue of other products Capital Teas offers... like their wonderfully delicious teas. The Orange Grapefruit Wellness is my fave! It smells fantastic too! Wondering, how many sachet's came in the package or could be made from it? The package I received came with 1 sachet. I'm not sure you can reuse the sachet or not. 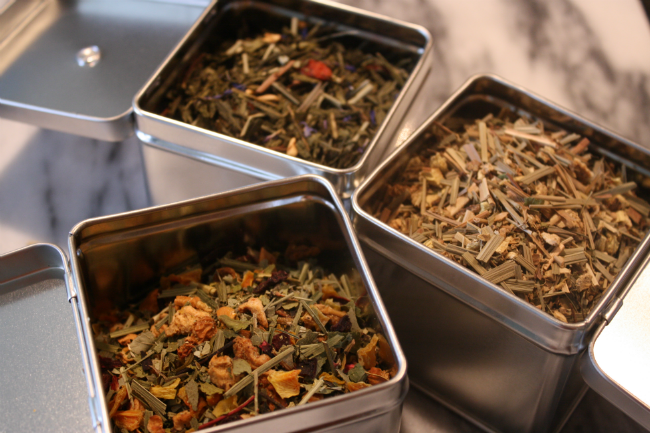 The links to the different teas for the tub are featured above. Thanks for asking! Such a fun and unique idea! Thanks for reading Kate!! It really is a fun and different way to enjoy a bath! !